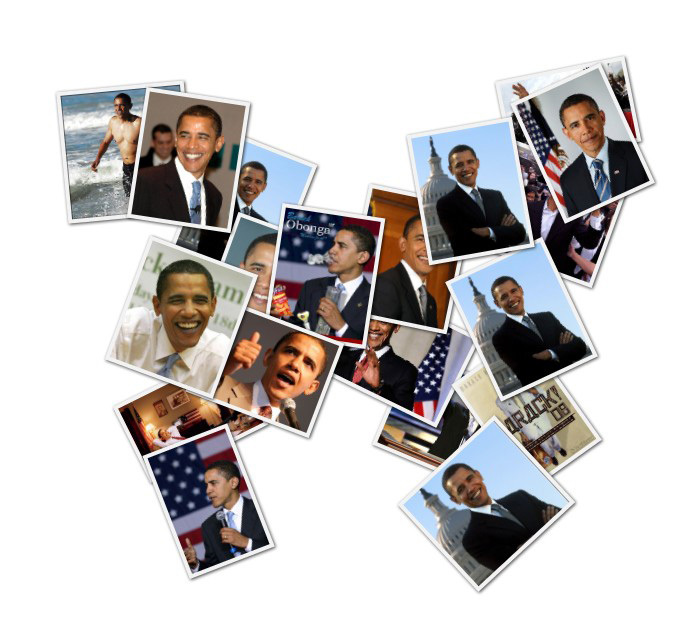 What you see on the right is a butterfly-shaped photo collage made with photographs of Obama and it took me less than 15 seconds to create one. Wondering how? That was simple. 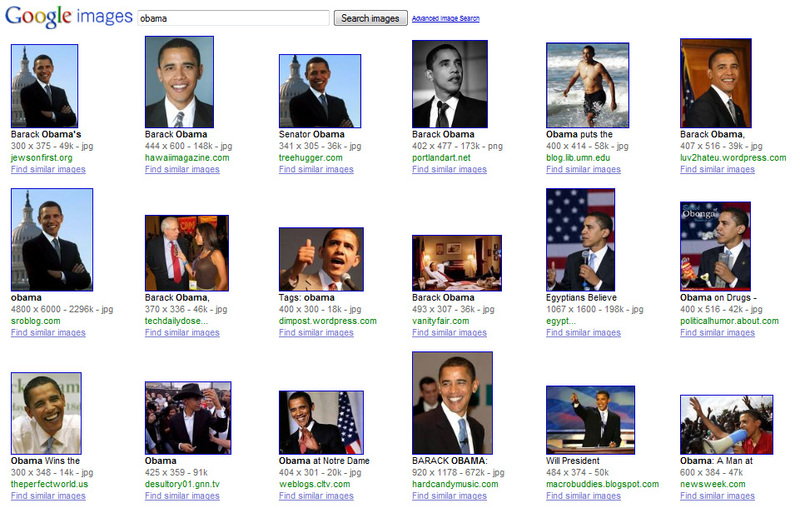 I did a simple search for “obama” on Google Images and then copied the search URL into shapecollage.com. Within seconds, the tool pulled all the photographs of Obama found on Google Images and turned them into a nice photo collage. This collage is interactive because if you click any of the thumbnails in this pile of photographs, it will open the full resolution picture on original website so you don’t miss the context. Internally, Shape Collage uses an HTML image map to maintain this image-to-source mapping. And here’s another photo collage created using book covers of New York Times Bestsellers as found on Amazon.com. Click on any cover to view the corresponding product page. You can also create collages by merging photos from multiple sites into one – like a single collage for your Flickr and Picasa albums. The Shape Collage Online web application is a complement to the Shape Collage desktop software, which includes additional features including the ability to generate high resolution collages.